→A Complete Keurig K475 Review: Should You Get This? Whether you love making coffee at home or in the office, you simply can’t deny the benefit of having a fine coffee maker at your disposal to help you create perfect cups of coffee every single time. If you want to find the perfect coffee maker for your home or office, I encourage you to read this short Keurig K475 review. When it comes to coffee makers, one brand always seems to pop up in my mind, Keurig. I have tried and tested several Keurig models over the past year, so far I have always been happy with their machines. Before we talk about the Keurig K475 review, you might as well get yourself familiarized with the different factors that you should be mindful of before you purchase a coffee maker. Knowing these simple things will allow you to find and select a coffee maker that doesn’t only fit your personal preferences, but your needs as well. Coffee makers come in different shapes and sizes, that’s why you should always see to it that the coffee machine you are getting can fit in your available counter space and storage space. In selecting a coffee maker based on its size, you should keep in mind that the bigger the coffee machine is, the more coffee it can make and the more features may come with it. However, this doesn’t necessarily mean that smaller coffee machines are obsolete, they just have lower capacities and don’t usually come with all the bells and whistles. What I like about coffee makers today is that they often come with a plethora of features that make creating coffee more personalized and easier. In today’s market, you will be able to find coffee makers with one touch features, brewing settings, and more. At the end of the day, just make sure that you are getting a coffee maker that you will enjoy using. Getting a coffee maker with plenty of features can be quite overwhelming and can cost you more, which can be unpractical when you don’t even need that many features in the first place. This last bit depends on how many cups of joe you wish to make per brew. If you only make coffee for yourself and 2 more people, you ought to go with a compact coffee maker that can help you create up to 4 cups per refill. Otherwise, you might as well get a high capacity coffee maker that can make you more than 4 cups of coffee per refill of the water reservoir.Remember that the higher the capacity, the larger its body will be. So be prepared to shell out some extra space in your kitchen counter if coffee quantity is a big deal for you. 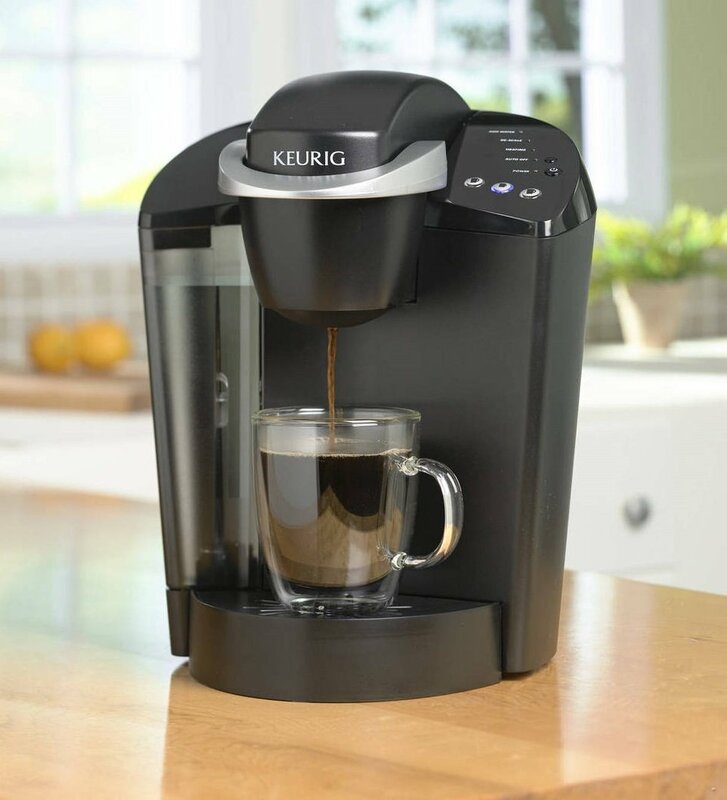 The K475 is another coffee maker from Keurig that will allow you to do plenty of new and cool stuff about coffee. What’s great about the K475 is that it can help you create personalized cups of coffee by allowing you to change certain parameters including the size of the brew, temperature, strength, and more. What mostly distinguishes the K475 from other coffee makers is how it can accommodate tall carafes and tumblers. It has a staggering 7-inch high slot for carafes and tumblers, making it quite the machine for entertaining guests. Needless to say, this machine is one of the best options for coffee lovers who aren’t satisfied with just one cup. Aside from the personalization options and the large capacity for water and containers, this machine also comes with a very attractive design. This model even comes in different colors, so pairing it with your existing kitchen appliances shouldn’t be a hard feat. As for the K475’s reservoir, it comes with an illuminated one that can easily be removed for refilling. The reservoir can accommodate 70 ounces of water that is ideal for creating up to 8 cups of coffee with just one filling. You can also use this coffee maker to filter your water for better taste. A couple more factors that adds to the overall usability of this coffee maker are its energy saver settings, low water level indicator, time setting, and retractable power cord for easy storing. Another great thing about the K475 is hot it also comes with a set of 2.0 K-cup samplers, a setup guide, and a set of K-carafe pods. It even comes with a handy 1-year warranty for easier maintenance. It can adjust the temperature control with a 5-degree threshold. In general, Keurig customers who bought the K475 were very happy about the machine’s quick preheat time. User also highly enjoyed the overall versatility of the machine since it comes with highly customizable options. Another thing that most users loved about this product is how it can accommodate a carafe and a tall tumbler. Users also cited how this machine can be used to make other great beverages such as hot chocolate and tea. Plenty of users also cited how this machine helps them save money because of the reusable perfect pod filter that allows them to use different coffee grounds. As for the shortcomings of this machine, some users said that its LCD display can sometimes get a glitch. Older users also stated that there’s a bit of a learning curve when it comes to operating the machine, but it still comes with an intuitive and friendly system overall. 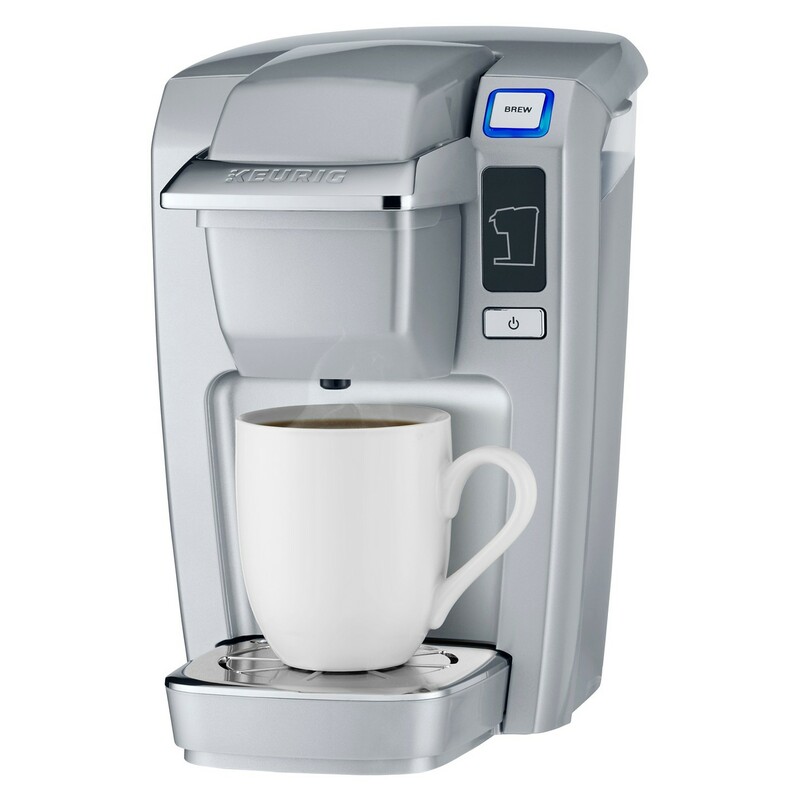 One of the most popular models from Keurig is the K55. This coffee maker is ideal for making multiple cups of joe because it comes with a 48-ounce water reservoir that allow for seamless brewing with just a single refill. Another great thing about this coffee maker is that it comes with an automatic shut-off feature for efficient energy consumption. The K15 is a coffee maker that can be placed in your kitchen counter because it comes with a really compact size. It also comes with an interesting set of features such as programmable functions, a one-press feature, k-cup compatibility, and and quick brewing. Another great thing about this coffee maker is that it comes with a really attractive looking design that can make it fit in with the rest of your kitchen appliances. 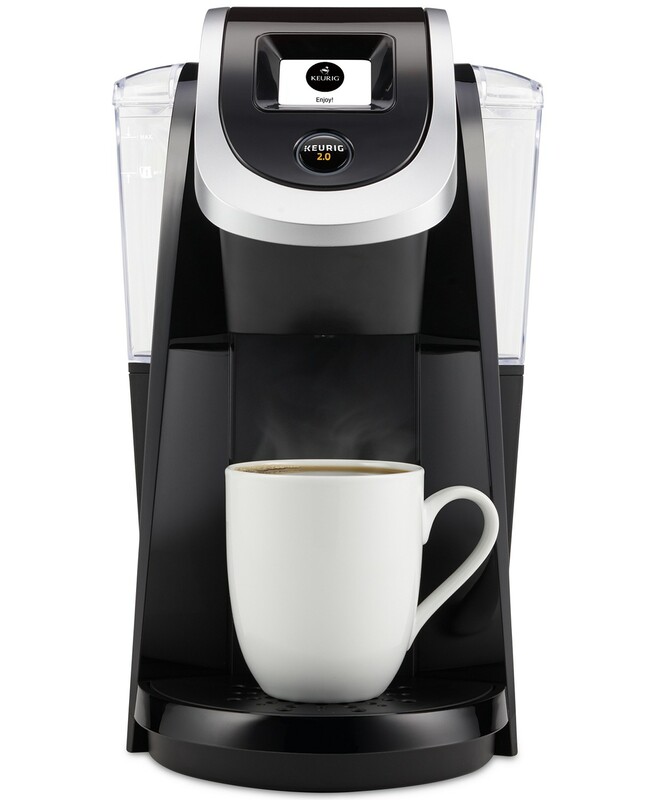 One more compact coffee machine from Keurig is the K250. It comes with an interesting set of features that can help you make perfectly personalized cups of coffee with ease. It’s even completely compatible with the K-carafe, making brewing several cups of tea, chocolate, or hot coffee a whole lot easier. The K475 from Keurig is definitely a coffee maker you wouldn’t regret getting if you want personalized coffee every day. The key highlights of this coffee maker is its large water capacity that will allow you to create 8 cups of coffee with just one refill, it’s carafe and tumbler compatibility, it’s set of personalization features, and its compatibility with reusable pod filters. Without a doubt, the K475 is one coffee machine that will allow you to create perfectly personalized cups of coffee every single time.